Weight: 375-450 pounds (170-205 kg); length: 7.0-7.5 feet (2.1-2.3 m); lifespan: 25-30 years. Hawaiian Monk Seals have silvery-grey backs with lighter creamy coloration on their undersides; newborns are black. They may also have light patches or red and green tinged coloration from attached algae. Hawaiian Monk Seals breed and haul out on sand, corals, and volcanic rock; they are often seen resting on beaches during the day. Hawaiian Monk Seals are primarily “benthic” foragers (bottom feeders), dining on a variety of prey including fish, cephalopods, and crustaceans. They generally hunt for food outside of the immediate shoreline areas in waters 60-300 feet (18-90 m) deep. They are also known to forage deeper than 1,000 feet (330 m), where they prey on eels and other benthic organisms. 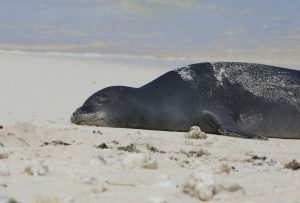 Smaller breeding sub-populations also occur on Necker Island and Nihoa Island; Hawaiian Monk Seals have been observed at Gardner Pinnacles and Maro Reef. This species is one of the rarest marine mammals in the world. Part of the “true seal” family (Phocidae), Hawaiian Monk Seals are one of only two remaining monk seal species; the other is the Mediterranean Monk Seal. 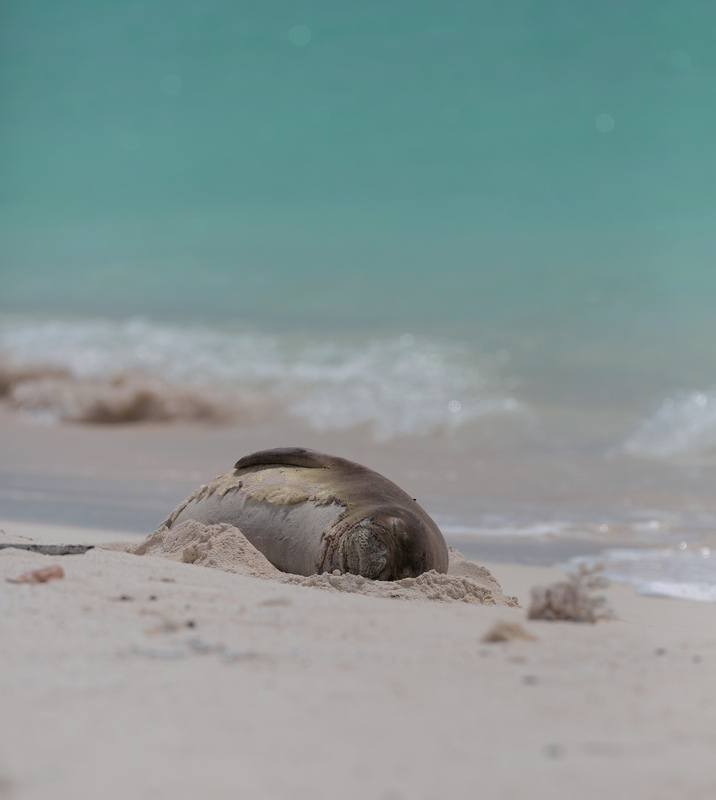 A third species, the Caribbean Monk Seal, is extinct. 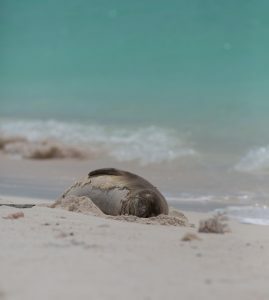 Hunted to the brink of extinction in the late 19th century, Hawaiian Monk Seals have been declining since modern surveys began. In 1976, the Hawaiian Monk Seal was listed as “endangered” under the Endangered Species Act. Under the Marine Mammal Protection Act, the seals are classified as “strategic stocks” and are considered “depleted.” Hawaiian Monk Seals are also listed on Appendix I of the Convention on International Trade in Endangered Species and are listed as “endangered” in the IUCN Red List of Threatened Species. Tiger sharks and Galapagos sharks prey on Hawaiian Monk Seals. 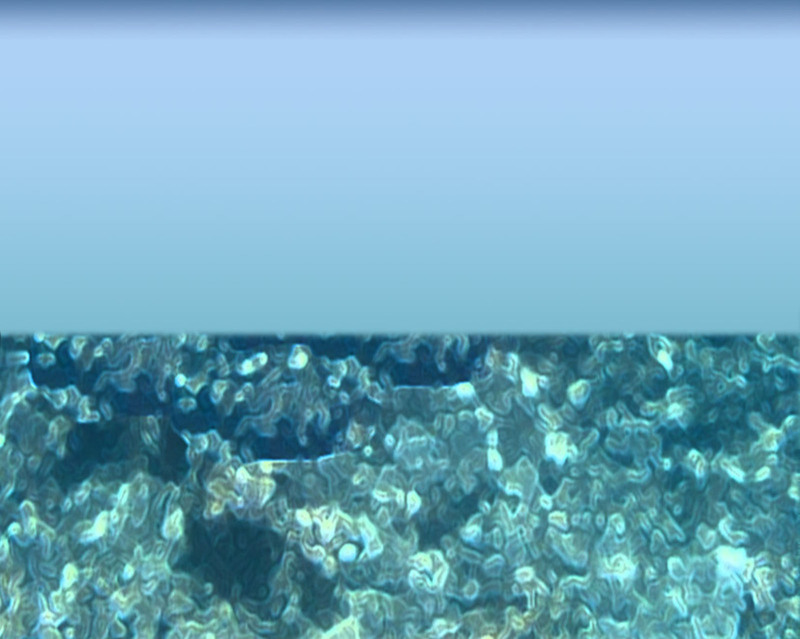 Threats include food limitations in Northwestern Hawaiian Islands (NWHI), especially for juveniles and sub-adults; entanglement in marine debris; human interactions (especially in the Main Hawaiian Islands), including bycatch in fishing gear, mother-pup disturbance on beaches, and exposure to disease; loss of haul-out and pupping beaches due to erosion in NWHI; disease outbreaks; male aggression towards females; and low genetic diversity.